Ma'oona was Mylne's first meter design after the adoption of the International rule in 1906. 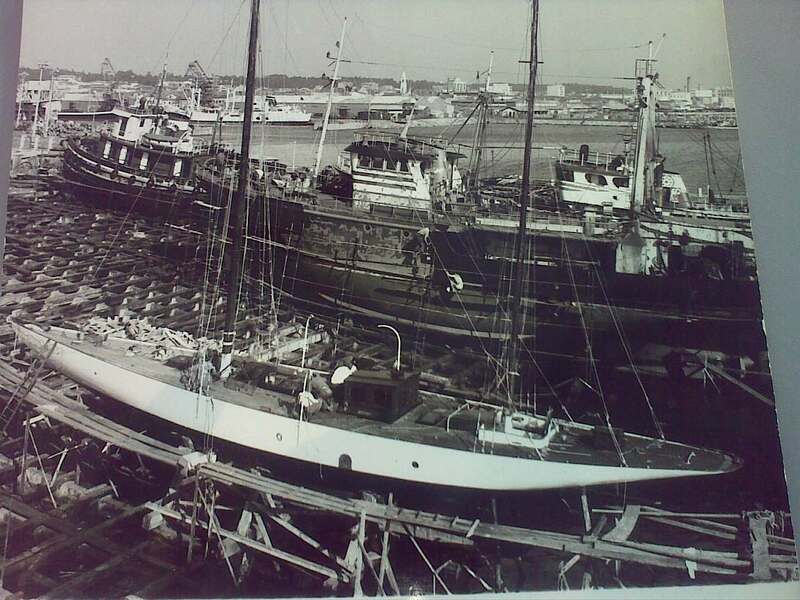 She was built to the 15m rule at McAlisters yard in Dumbarton where she was launched in April 1907. The picture shows her in Portugal in 1970 when she was known by the name La Moqueuse. She was completely restored at this time, and sold to an owner in Barcelona in 1976. In 1982 she went to Greece as a charter yacht, but since then we have lost trace of the yacht. If you know her whereabouts, then please do get in touch. With the resurging interesting in the 15m class, it would be exciting if this first of Mylne's great designs was to re-surface. We will bring you more information on Ma'oona as soon as we hear anything - so watch this space. I don't know if it is the same boat but my father bought a 1907 Fife design 15m class named NEVADA from Spain around that time and brought it to Greece as a charter yacht. It was stolen while under arrest in 1986 or there about by a frenchman named Bernard something and his English girlfriend Melanie Trenter(if memory serves correctly), and surfaced 20 years later in Monaco named TUIGA. I have written to YCM but to date received no response. We have now heard that sadly Ma'oona was lost to fire in the late 1980's - a sad end to the original yacht, but luckily we still retain all the original plans for this magnificent 15m. With the resurging interest in the 15m class, Ma'oona may once again be sailing and winning!